See a demo of the product instantly. Connect Demio with your stack. See what's new on the Demio blog. Learn SaaS marketing from the best. Education around webinar strategy and growth. Promote Demio and earn commissions. David from Demio here. It looks like you may be interested in switching from YouTube Live/Google Hangouts to Demio (or any free software run on there), and youâ€™re wondering whether Demio is the correct fit for your business. I hope this short explanation helps! Although free, Google Hangouts/YouTube Live are actually not made for webinars, as their real goal is just friend/family connecting. Because of this free network, youâ€™ll always witness delays from 10 - 60 seconds on your webinars, making a terrible experience for your audience. Demio is built from the ground up to be completely real-time (zero delay) so you can truly connect with your audience. Plus, we made it extremely easy to use! With Demio, it literally takes less than 10 seconds to set up a webinar. Simply add your webinar title, choose a date/time, and you're done. Setting up your webinar is simple, but youâ€™ll still have the ability to customize it as much as you need. 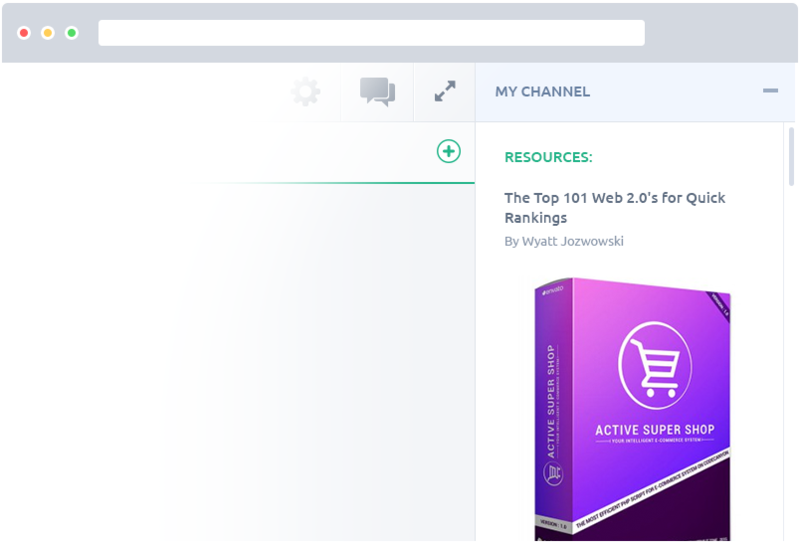 When you are ready to run your webinar, you can log into the webinar room directly in the browser. Attendees join with their unique link in the browser, with absolutely no application download needed to attend. Share your screen, webcam, or microphone while chatting with your attendees directly in a beautifully designed webinar room, all with no hassles. "I conducted my first webinar today and it was a breeze! Thanks so much for such a streamlined platform, and my attendees loved it as well. In fact, they said that they would join in more often because of how easy it was to log in and interact with others." You may have struggled to integrate your CRM or Autoresponder with GoToWebinar, needing multiple services to connect what you need. With Demio, integrating with our native integrations has made it a breeze to add your registrants directly to your CRM. In fact, Demio was created for Marketing and Sales. Meaning that our features are built around your connections to the marketing tools that matter most. 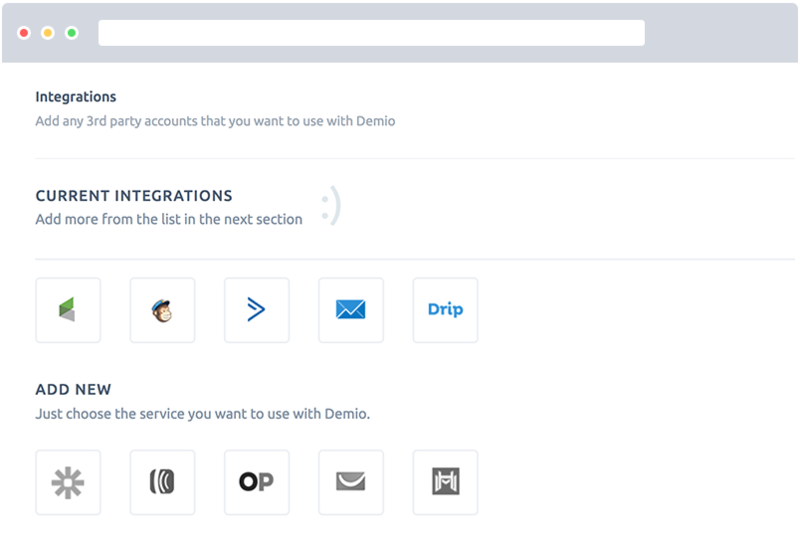 Demio already integrates with Infusionsoft, Ontraport, ActiveCampaign, Drip, Mailchimp, Aweber, ConvertKit, and MarketHero. We also have a full API with Zapier, allowing you to integrate with any other application of choice. Once youâ€™ve integrated your account, you are ready to add your registrants to lists, add tags, or use any of our unlimited Automation Rules to segment them based on the actions they take. Say goodbye to needing 3 apps to do 1 simple automation. Demio makes it a breeze. Run your webinar without an overwhelming number of tools in your face. With the Demio Backstage, we make it easy to hide or open the tools you need at the the right time, so you can better connect with your audience. Running a sales or marketing webinar and missing the close? With Demio, we give you an easy way to share items with your attendees at precise moments in the backstage. Webinars are a big part of your business and we want to make sure you maximize every minute with them. 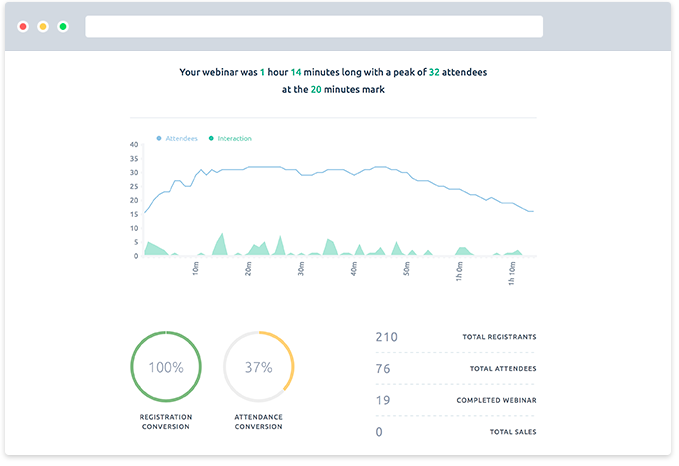 Instead of just â€œstats,â€� weâ€™ve worked hard to ensure the analytics you get give you the data you need most to improve your webinars. A major focus for us here at Demio, Webinar Analytics are the core to understanding how you present and where adjustments need to be made. Get full segments of your audience, who attended, who left early, who skipped, and who complete. Or, reply directly to attendees from Demio to make sure you answer all those important sales questions to close more sales. Weâ€™ll always be growing this segment of Demio and making sure you will be at your best for each and every webinar. Weâ€™re committed to giving you the best experience on Webinars possible when using Demio. 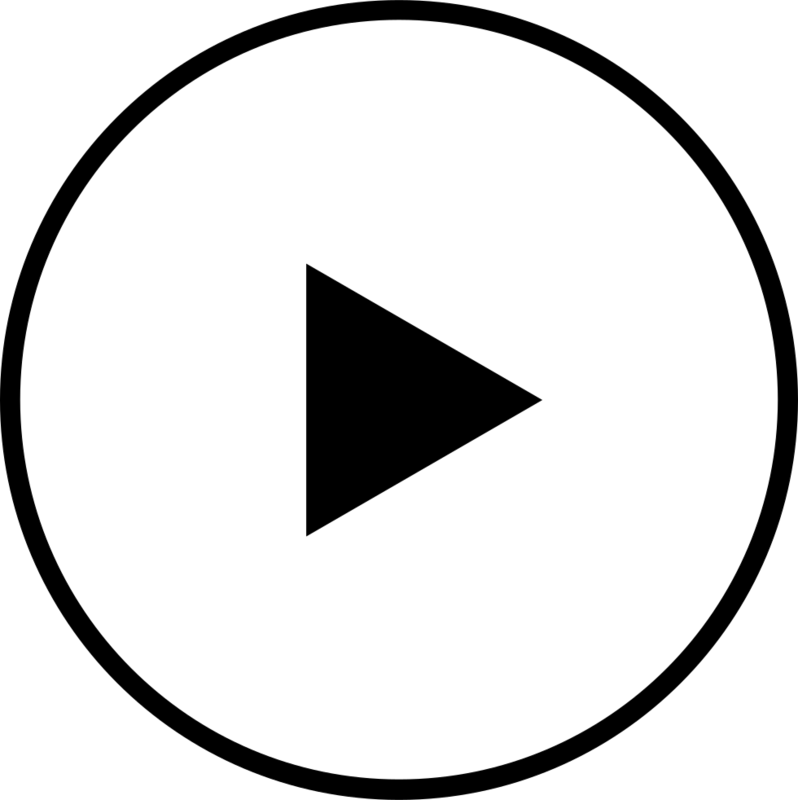 Itâ€™s truly our mission to create more than just a software product and to help innovate webinars to make them â€œdelightfulâ€� again. Every action we take is guided by our mission and our users; we are so driven to make the platform you need and want. On top of that, to make sure you always have a great experience, our customer success team is always available for every single user to answer any questions you may have. If you need personal support, we will make ourselves available via email and live chat, no matter what may arise. Thatâ€™s our promise to you. "There is a lot to love about Demio! I love the super simple and clean design, it's intuitive UI and the super simple yet robust functionality. On top of that the level of support is amazing. They are quick, efficient, friendly and seem to go the extra mile just about every time." Demio is a smart webinar platform on a simple mission, and weâ€™re just getting started. We offer surprisingly low prices with all the Demio Features available to any package size, with flexible month-to-month pricing, which you can cancel at any time. No hassle, just an easy-to-use platform that flat-out rocks.